The comment is contained in a letter sent Monday to BP CEO Tony Hayward by legislators to alert Hayward to the issues he will be expected to address when he appears to testify before the House Energy and Commerce Committee on Thursday. The letter outlines the findings of committee’s independent investigation into the explosion that resulted in the sinking of the Deepwater Horizon offshore drilling rig. “Evidence before the Committee calls into question multiple decisions made by BP. Time after time, it appears that BP made decisions that increased the risk of a blowout to save the company time or expense. If this is what happened, BP’s carelessness and complacency have inflicted a heavy toll on the Gulf, its inhabitants, and the workers on the rig,” wrote Committee Chairman Henry Waxman and Subcommittee Chairman Bart Stupak. “The common feature of these five decisions is that they posed a trade-off between cost and well safety,” Waxman and Stupak wrote. 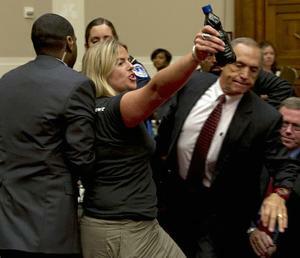 The executives appeared before the Energy and Environment Subcommittee of the House Energy and Commerce Committee, chaired by Congressman Edward Markey, a Massachusetts Democrat, who is unconvinced by the CEOs’ assurances of safety. 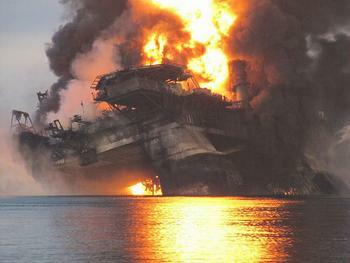 “BP said they didn’t think the rig would sink. It did. They said they could handle an Exxon Valdez-sized spill every day. They couldn’t. 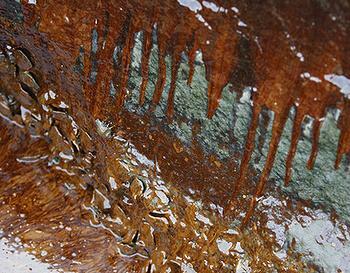 BP said the spill was 1,000 barrels per day. It wasn’t. And they knew it,” Markey said. “Now the other companies here today will contend that this was an isolated incident. They will say a similar disaster could never happen to them. And yet it is this kind of Blind Faith, which is ironically the name of an actual rig in the Gulf, that has led to this kind of disaster,” Markey said. ExxonMobil has drilled almost 8,000 wells worldwide over the last 10 years, he said. Of these, 262 have been in deepwater, including 35 in the Gulf of Mexico. John Watson, chairman and chief executive of Chevron, told the lawmakers that within a few hours of the Deepwater Horizon accident, Chevron held safety briefings on its rigs around the world, examined blowout contingency plans, and scrutinized drilling and completion policies. Waxman asked the other oil company executives if any of them disagreed with the statement that BP made mistakes. None of them did. Lamar McKay, president and chairman, BP America, Inc. told the committee the consequences of the spill are “very personal” to him. All the oil executives repeated over and over in different ways – America needs supplies of oil and gas and we can supply these resources safely – even from deepwater wells. In preparation for this hearing, the committee reviewed the oil spill safety response plans for all of the five companies whose CEOs testified today. But the Department of the Interior’s Minerals Management Service continues to approve new oil leases that give BP and other companies the right to drill even more deepwater wells in the Gulf of Mexico under the same inadequate oversight that led to the current oil spill, according to a new legal challenge filed by the Southern Environmental Law Center and Defenders of Wildlife. 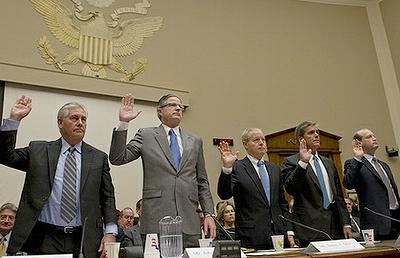 The groups say current policies create an incentive to allow drilling even in the face of evident risks because once a lease is issued by MMS, the U.S. government is obligated to pay the lessee either the fair market value of the lease or the amount spent to obtain the bid plus costs and interest if the government cancels the lease or refuses to allow drilling. MMS approved new leases for deepwater tracts as recently as June 10 under the same lax oversight complicit in the current Gulf spill. The groups’ lawsuit challenges MMS approval of 198 deepwater leases, including 13 new leases for BP to drill in deep water without any better oversight than what was in place before the Deepwater Horizon exploded and caught fire on April 20.